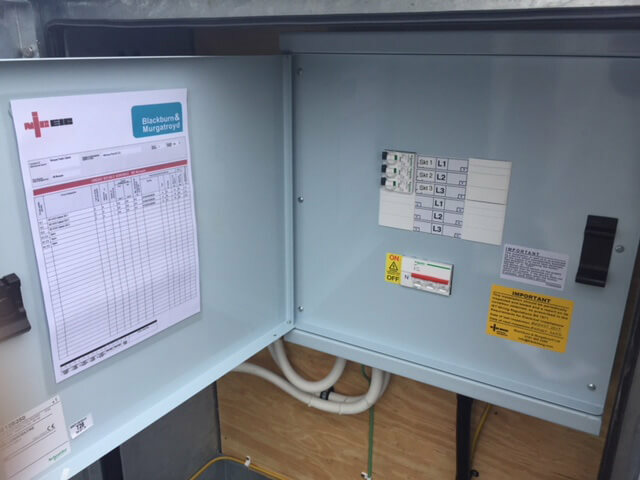 Install of underground SWA cable to feed Lucy cabinet. 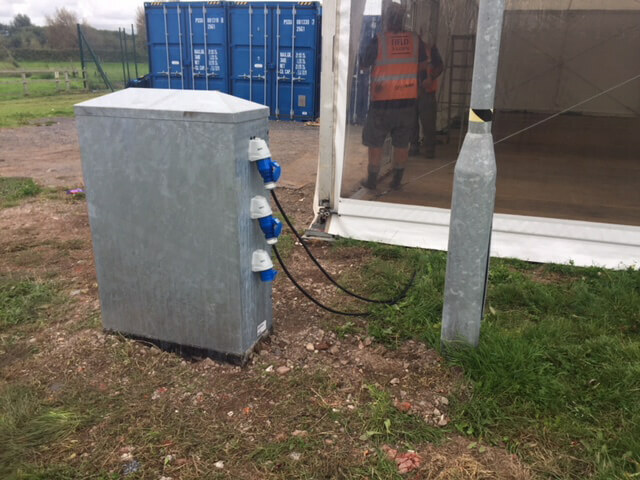 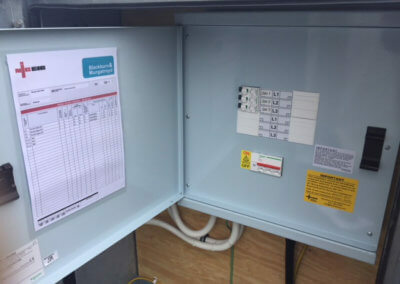 Cabinet has 400V Distribution Board and RCD circuit breakers for the 3 x BS4343 sockets to feed the Marquee (installed 2017). Install of 2 x 125A 400V RCD BS4343 Sockets wired through Schneider MCCB’s. 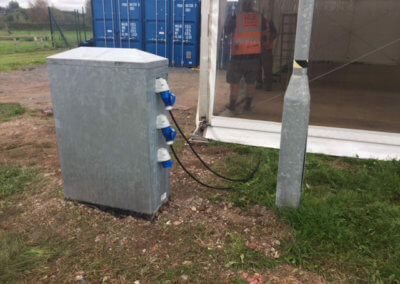 Supply of 125A extension leads and splitter cabinets to feed the specialised Pitch Grow Lamp System (installed 2016). 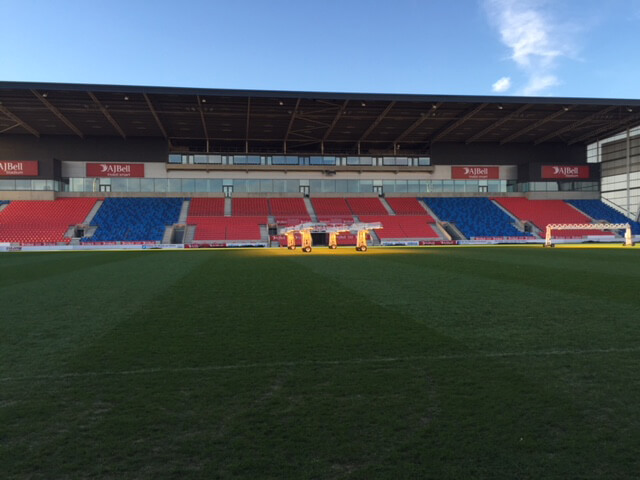 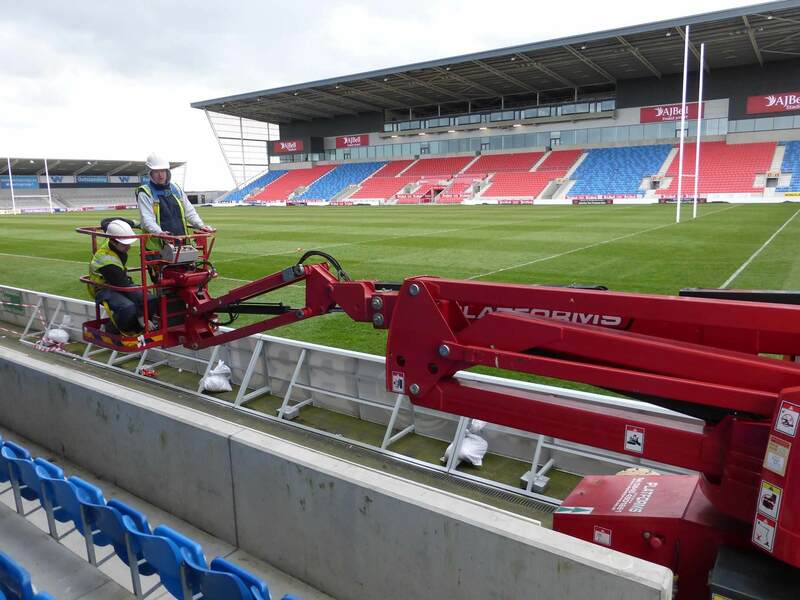 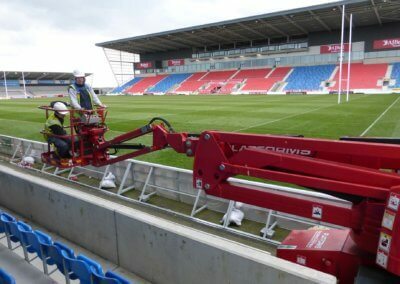 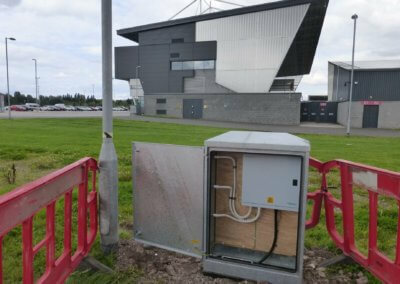 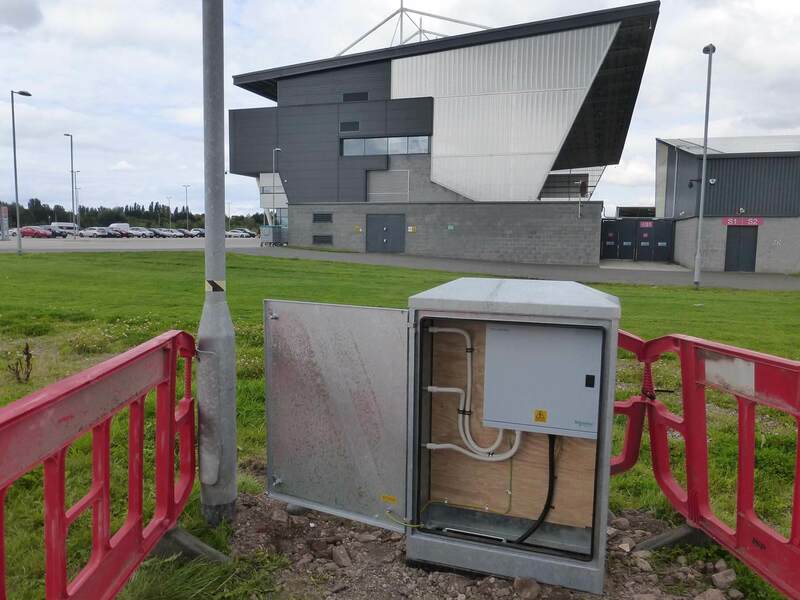 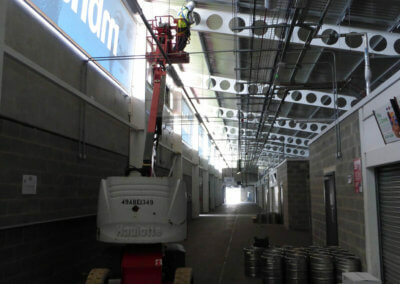 Install of data cabling and Wifi Boosters in conjunction with Stadium Comms Specialists. 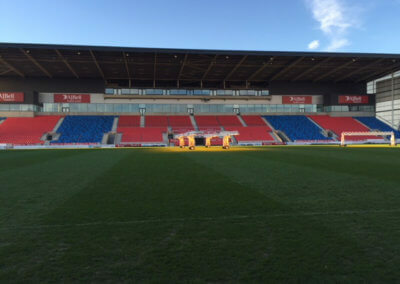 Use of Mobile Platforms on the pitch side and also in the East Wing concourse (installed 2014). 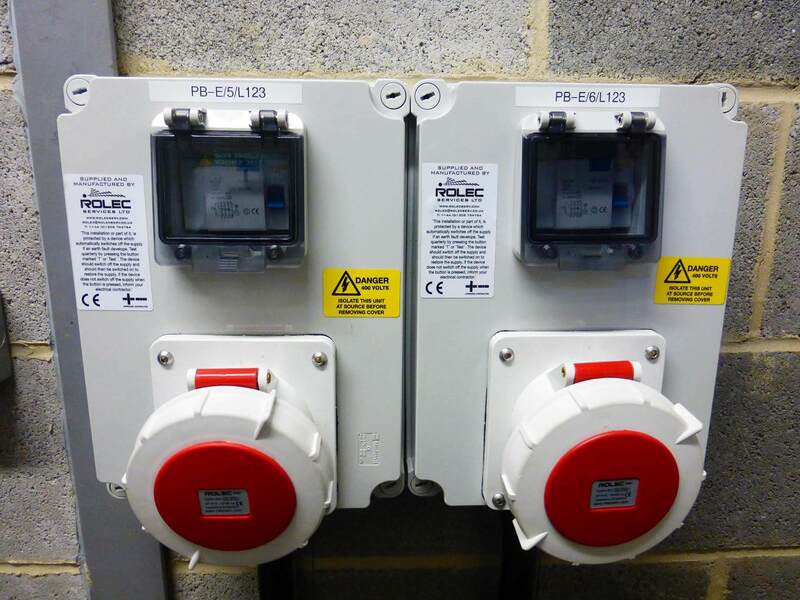 Give us a ring and we will go through all your installation requirements. 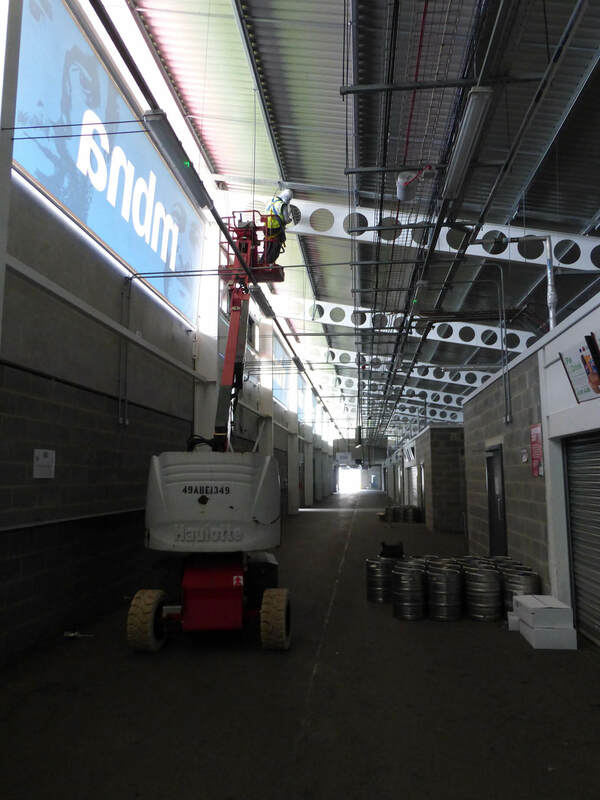 At Blackburn & Murgatroyd we want people to feel confident that any job we do will be completed to the highest possible quality and to the highest safety standards.